Your generosity enables us to continue to provide critical programs and services in Windsor-Essex. VON builds healthy communities through nutrition, exercise and chronic pain programs as well as offering services that help maintain dignity and independence. Bequests or Legacy Gifts give people assurance that their estate will help VON continue to meet the needs of its community for many years to come. We need your help! Rewarding volunteer opportunities are available in your community. 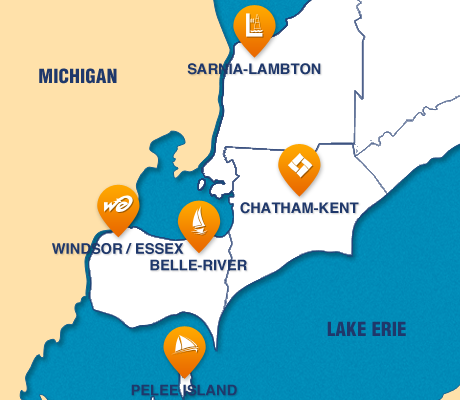 VON Windsor-Essex was established in 1927 and is dedicated to being a leader in the delivery of innovative comprehensive health and social services in this community. VON Windsor-Essex believes that health starts at home and excellent health care and personal assistance should be available to everyone, regardless of their financial situation. VON Windsor-Essex is supported by funding from the Ministry of Health and donations from local business partners and individuals through the VON Windsor-Essex Community Corporation and the VON Windsor-Essex Endowment Foundation. VON Windsor-Essex is also supported by a team of generous and committed volunteers who help make the programs successful. Visit our Volunteer and Donate sections for more information on how you can provide a helping hand to your friends and neighbours. VON Windsor-Essex continually looks for needs in the community and develops programs to meet these needs. VON collaborates with other community agencies to enhance client experience and find efficiencies to lower healthcare costs. The focus is on minimizing hospital visits and stays and keeping our community healthy. Visit our News section or “Like” us on Facebook to keep up to date with the latest developments.